Tendons of the abductor pollicis longus and extensor pollicis brevis muscles pass in their synovial sheath in a fibro-osseous tunnel at the level of radial styloid. Inflammation of the synovium at this level causes pain at the radial side of the wrist. Local tenderness and swelling may extend into the hand or forearm along the course of the tendons. Crepitus may be felt with movements of the wrist in certain cases. Positive Finkelstein’s test is diagnostic for De Quervain’s tenosynovitis. 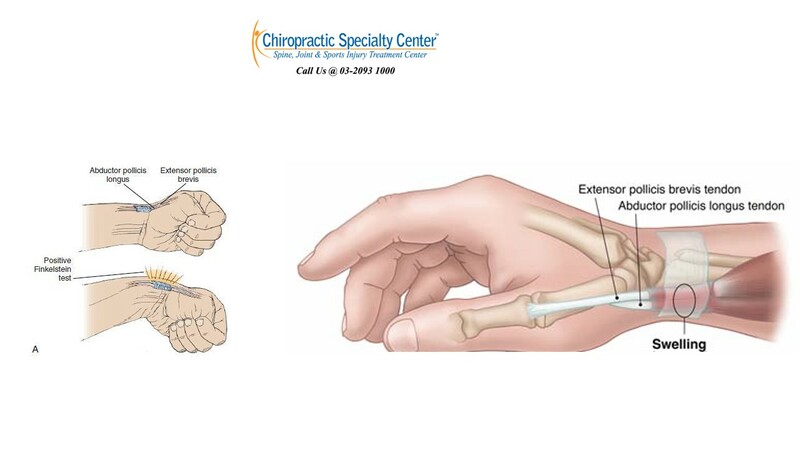 The thumb is bent and placed in the palm while the wrist is slowly brought towards the ulnar side. Pain can be felt at the base of the thumb near the radial styloid. This radial-sided tendinopathy is very common in athletes, especially those who participate in racquet sports, ten pin bowlers, rowers and canoeists. Additional stress is exerted on the left thumb of a right-handed golfer during a golf swing, and this will result in injury and pain. The Physiotherapists and Chiropractors in Malaysia are best-suited teams for non-invasive treatment approaches. Our methods of care are more effective when compared to others. Visit us today to experience clinical excellence. Our wrist pain treatment pragmas are your best hopes of recovery through non-operative means. 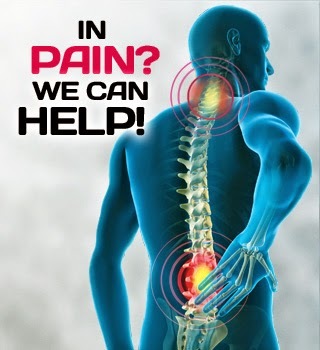 Our centers offers you the best of clinical physiotherapy right here in Kuala Lumpur, Malaysia. Our treatments are through the best and most effective means of conservative treatments for De Quervain’s tenosynovitis. The care you get from us may include splinting of the wrist and thumb to prevent further damage from excessive movements. Local electrotherapeutic modalities are helpful in reducing swelling and inflammation. Manual therapy such as stretches and trigger point therapy are able to relax the forearm muscles. Graduated strengthening exercises for the muscles in the wrist and hand are important to prevent the reoccurrence of the condition.